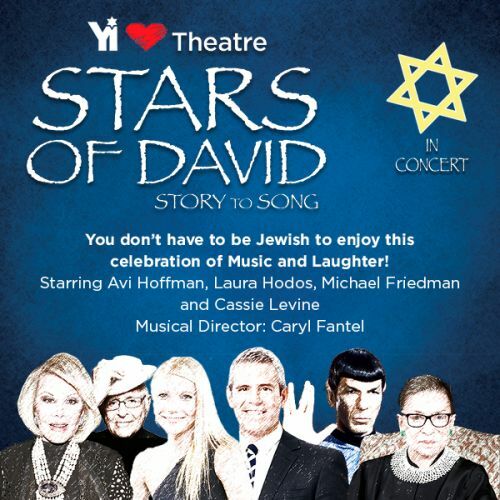 You don't have to be Jewish to enjoy this musical review! Based on the best-selling book by Abigail Pogrebin, this musical is a celebration of Jewish identity, heritage, interests and memories. Actors portraying prominent personalities including Ruth Bader Ginsburg, Fran Drescher, Andy Cohen, Tony Kushner, Leonard Nimoy, Joan Rivers, Gwyneth Paltrow and Aaron Sorkin among others, reveal intimate thoughts and experiences about being Jewish, from experiences of anti-Semitism to others of pure joy.